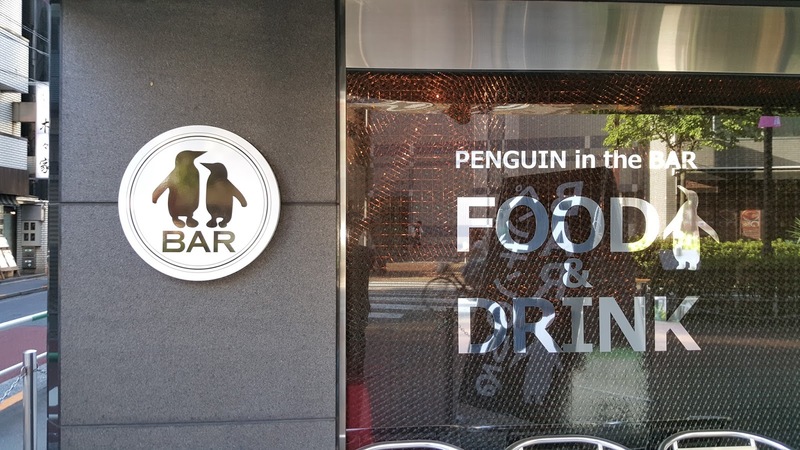 FEED AND PLAY WITH PENGUIN FRIENDS IN TOKYO @ PENGUIN NO IRU BAR - IKEBUKURO - EAT WITH HOP! Hours: 6pm to 4am everyday! OMG THE CARROT IS SHAPED LIKE A PENGUIN! 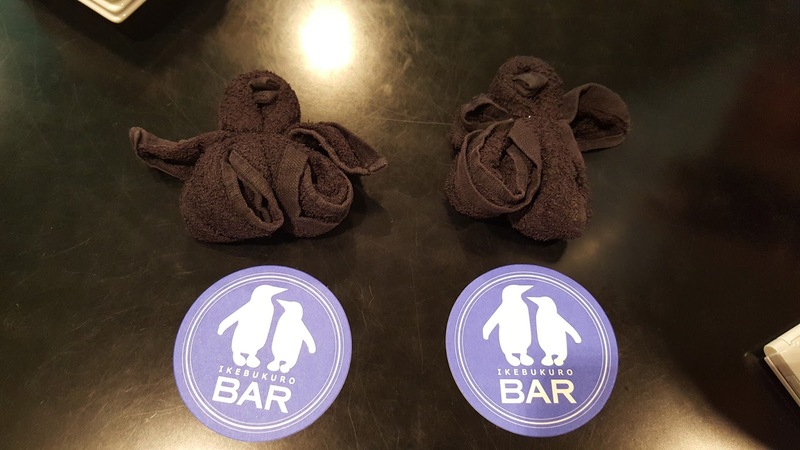 PENGUINS? 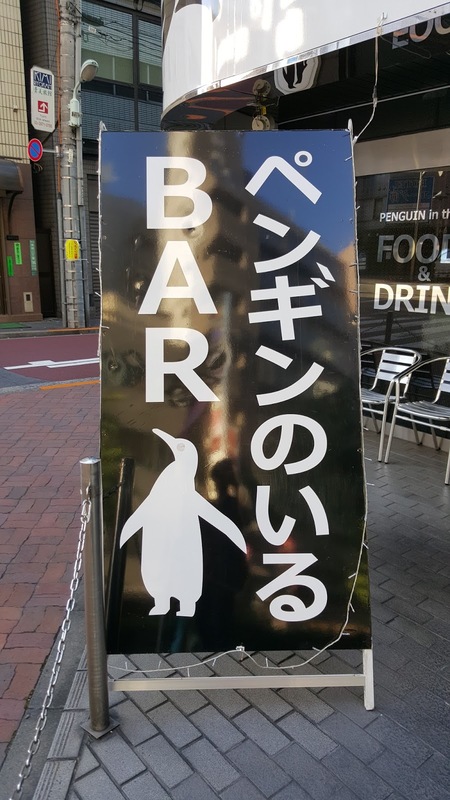 A BAR? AND EVEN FOOD TOO? 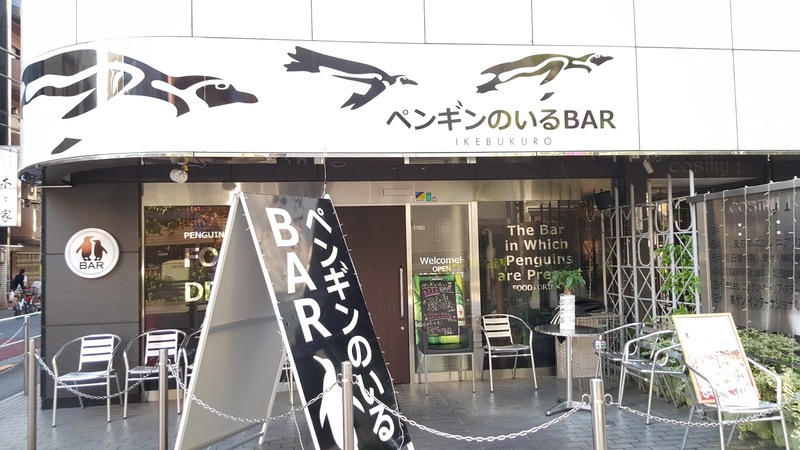 So you may have heard of Japan's variety of pet cafes including cats and owls by now, but have you heard of a penguin one?! 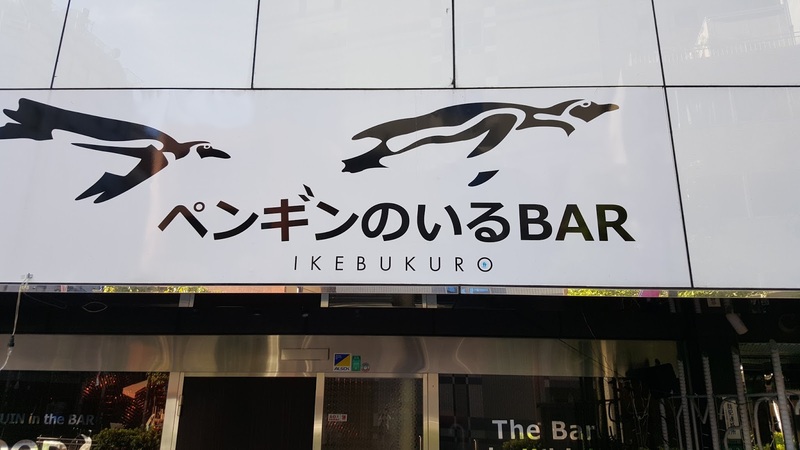 In Ikebukuro, there is the one and only bar in Tokyo called the Penguin No Iru Bar (The Bar Which Has Penguins) where you can feed yourself and some super adorable penguins. If you didn't make any reservations for this place like Kevin and I, get here early. Kevin came an hour early at 5pm (place opens at 6pm until 4am everyday) and locked in the very best seats in the house: front row seats. No one was really in line though because everyone else probably made reservations. 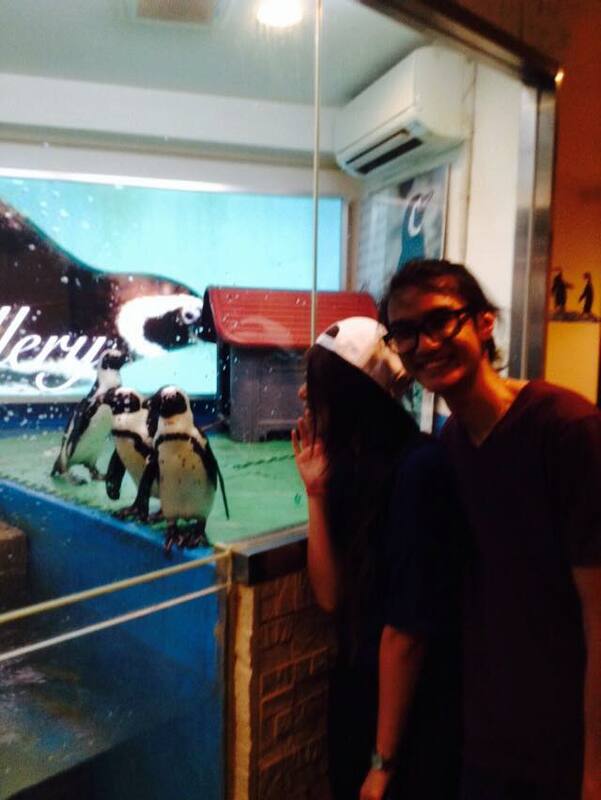 But even without reservations, we luckily got to see the penguins the closest while we ate our yummy dinner! 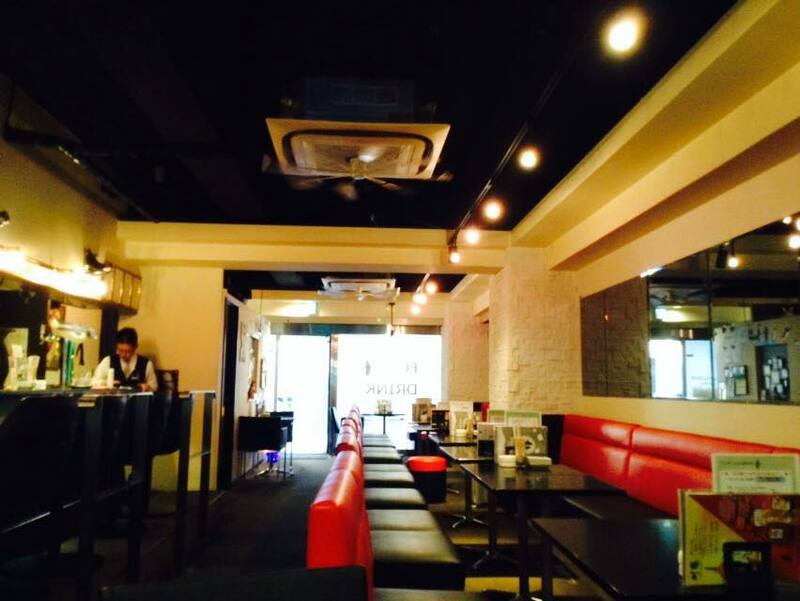 The cafe is actually more of a restaurant / bar. 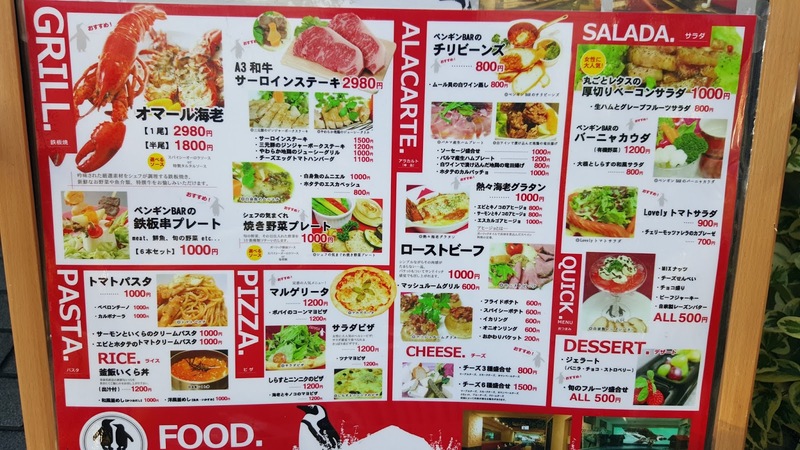 It has a full menu which is quite surprising because normally animal cafes in Japan usually only serve the simple stuff like water... or tea.. and maybe some bread. 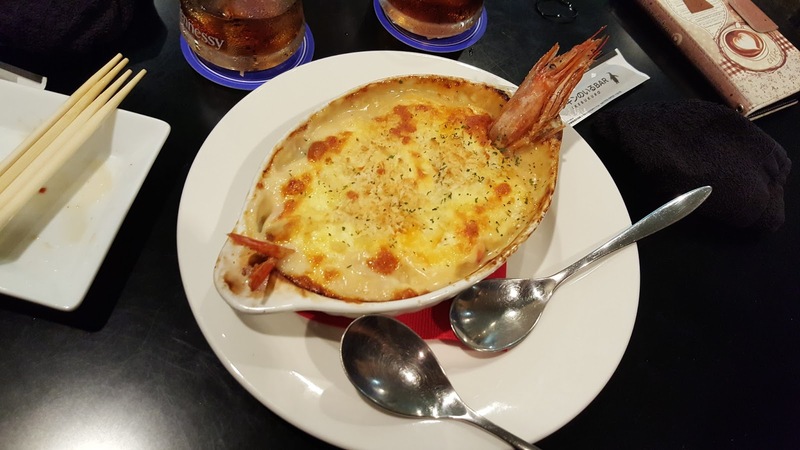 But this place has a full food menu and alcohol bar that includes lobster, wagyu beef, pizza, pasta, etc.. 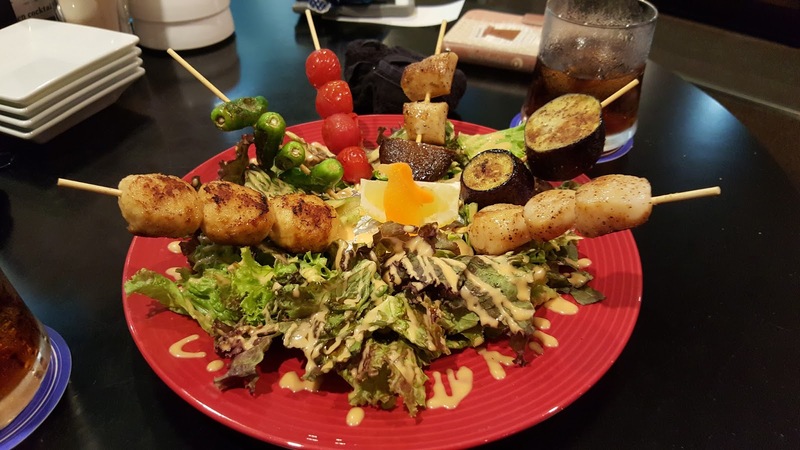 It was quite hard to choose what to eat because everything looked so good! 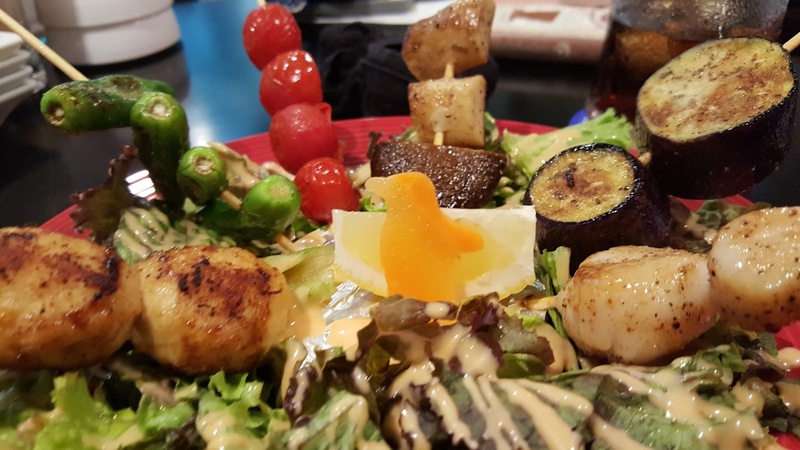 I can't remember the name of what we ordered but it was a shrimp gratin (super yum) and a salad + kebab sampler with a cute penguin shaped carrot! Both were good and not too heavy for two people which left us room to eat a buffet afterwards (life of foodies you know? 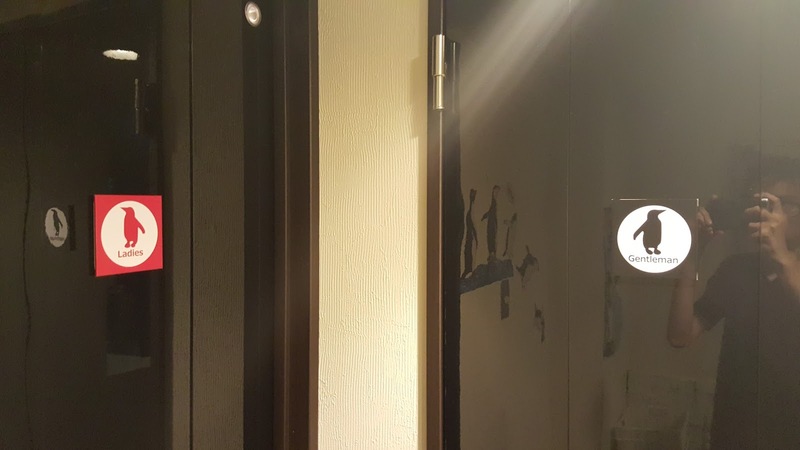 ^__^). 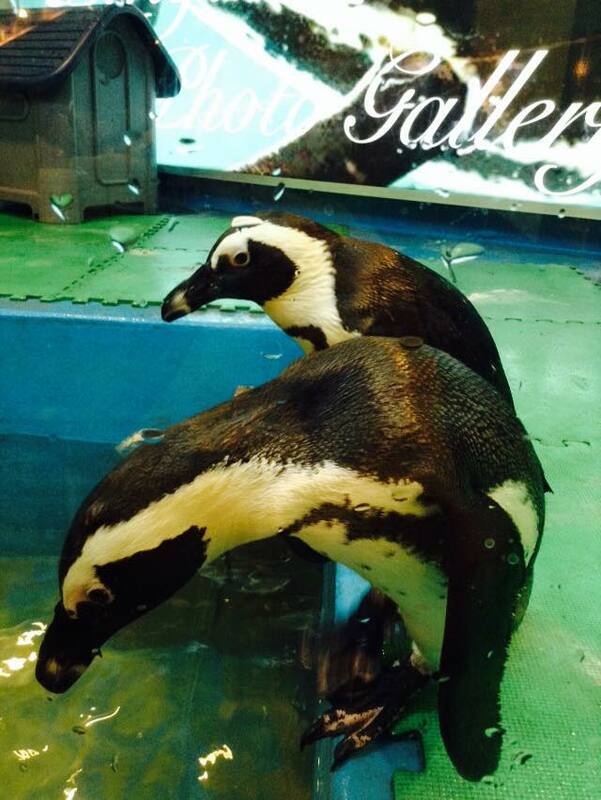 Around 7pm is when we start feeding the penguins. 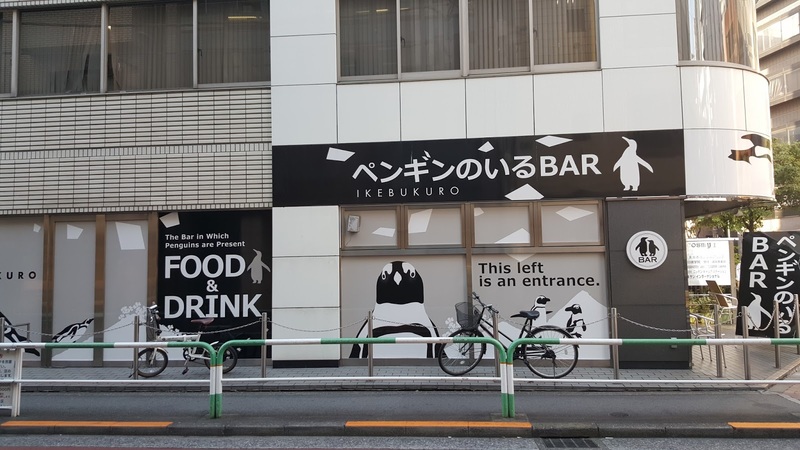 The staff divided all the customers in the restaurant at the time into 2 groups. The first group (including Kevin and I) was directed to go to the front near the penguins while one of the staff members demonstrated how to feed the penguins. 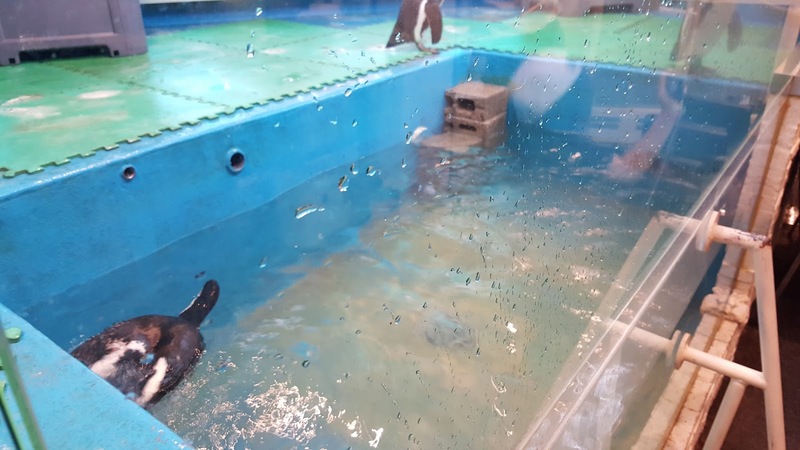 The staff member was holding a bowl full of fishies and showed how we could simply just grab one with the tongs and hover it over the penguins. 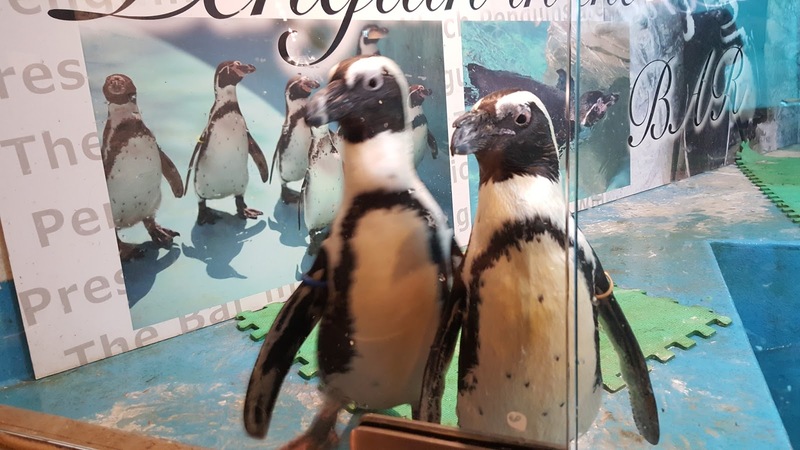 But to make it fun, he suggested that we should play with the penguins through feeding. 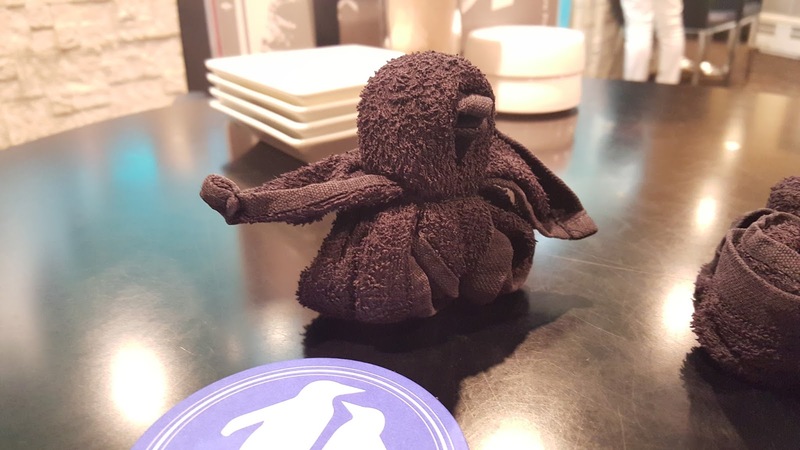 We should tease the penguins a bit, wave the fish around and have the penguins fight for it, and then maybe choose a lucky penguin to devour one. Once everyone got their turn we just all sat back down again. A lot of people, while feeding the penguins, also had the staff take photos of them too. 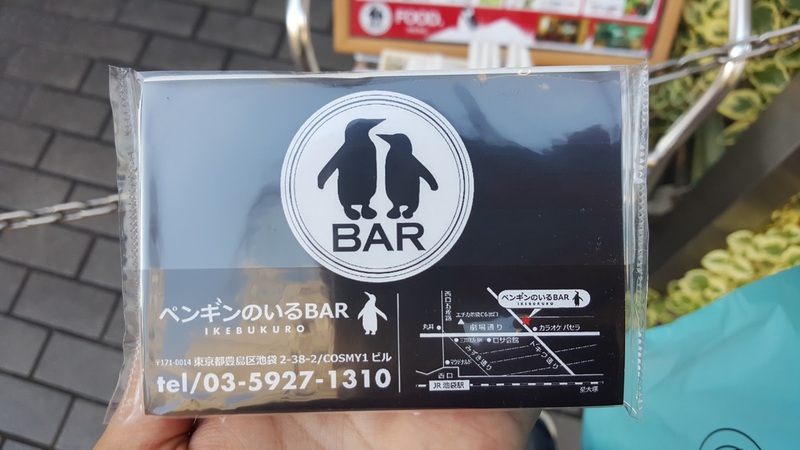 Everyone's really nice here about helping to capture wonderful memories of feeding penguins... in a bar! Unfortunately, you cannot touch the penguins or pet them really. 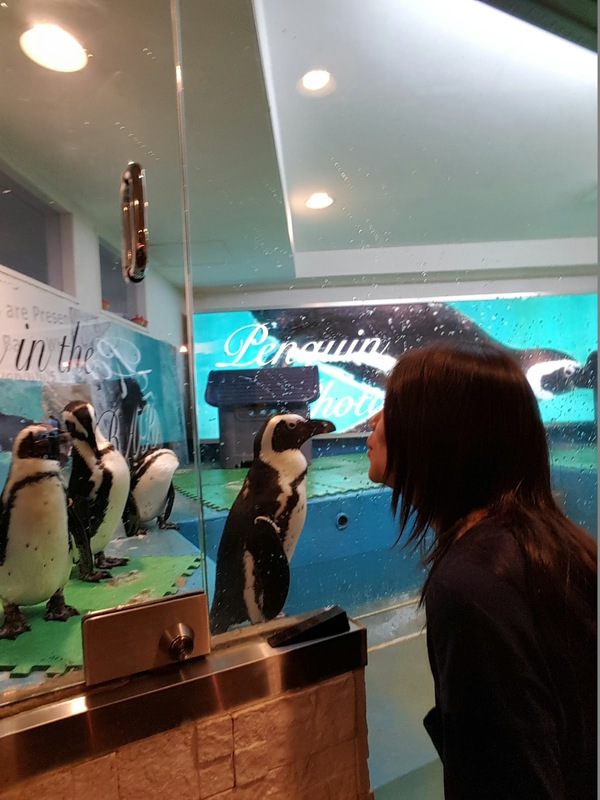 Feeding and pretending to kiss them through the glass is as close as you're gonna get to physical touching them. 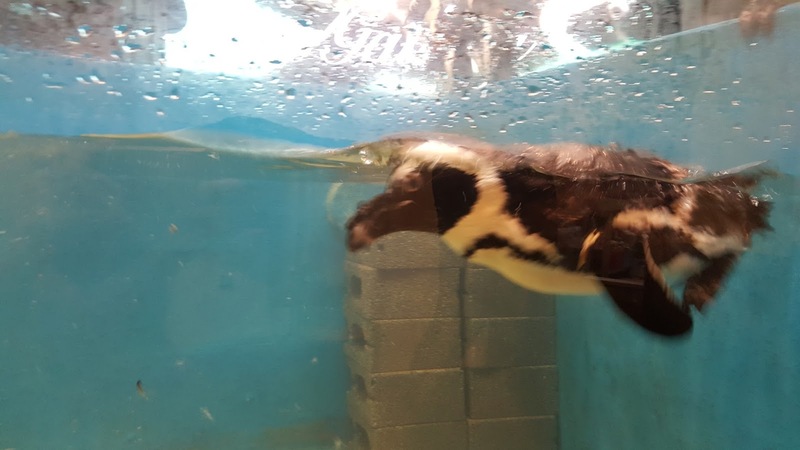 As for me, just getting to see penguins and play with them so up close and personal and not in a zoo was freakin` awesome! 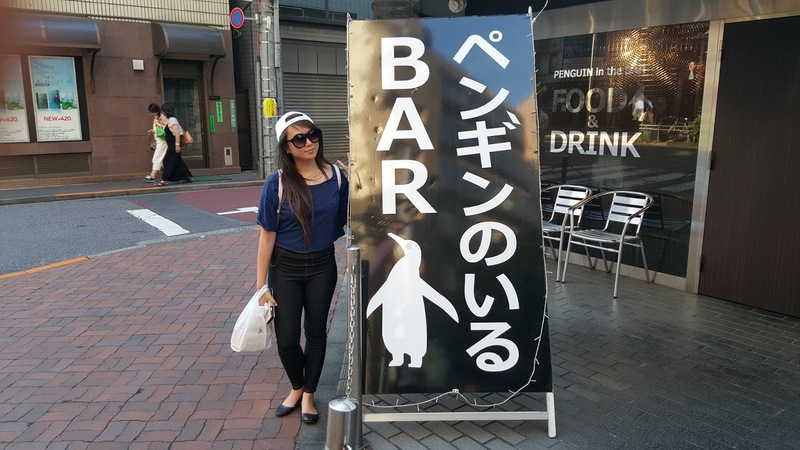 I recommend all of y'all who visit Tokyo to feed some penguins! 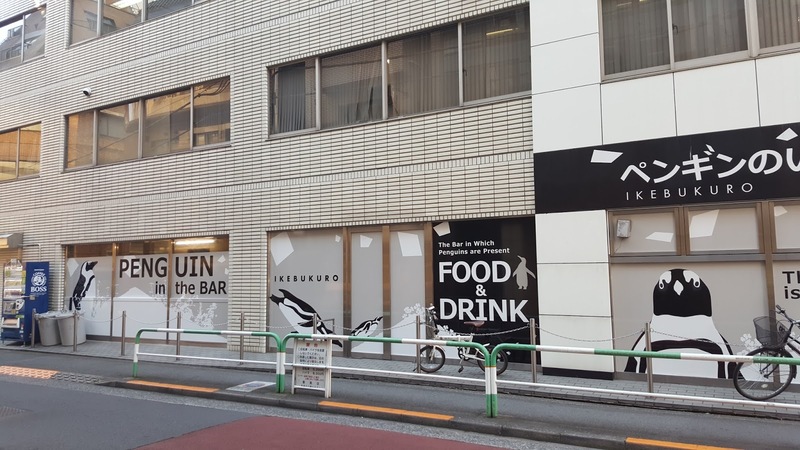 this means you must pay 800 yen for just being there at the cafe.This sort of fee is typical of all animal cafes in Japan. 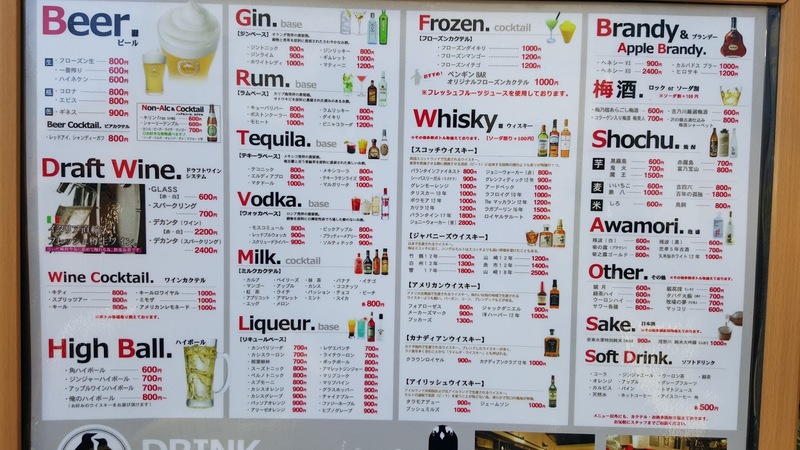 You must also at least order something else each person. 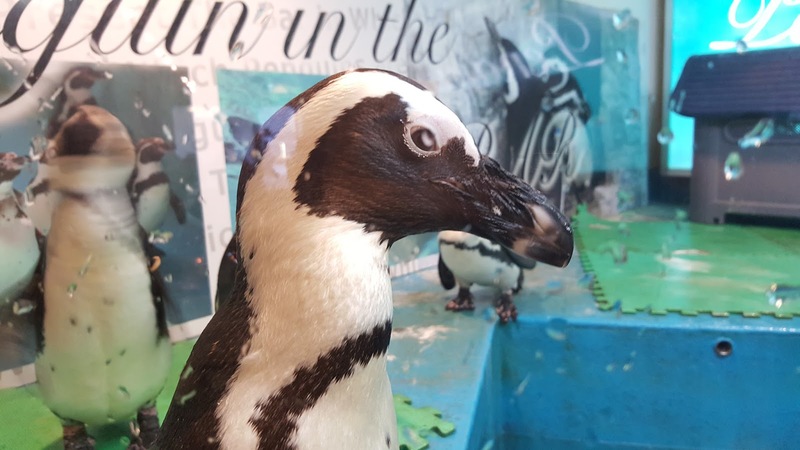 totally worth it to hang out up close with penguins and feed them! You get to feed the penguins fish! I recommend reserving because it was a full house!